Bruxism is a condition that should not be neglected. Since it is associated with a constant grinding and clenching of teeth, leaving it unattended can risk the person’s overall oral health. 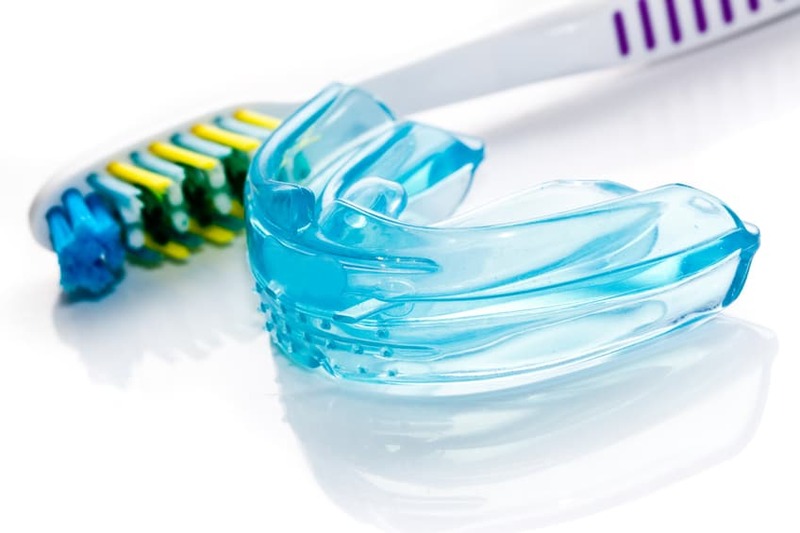 Our dentist at The Holistic Dental Center recommends nightguards for patients suffering from bruxism. The protective device looks like a sports mouthguard that cushions the teeth against the possible wear and tear. Here in our dental office, we provide a nightguard made from metal-free materials to ensure the safety of our patients. Teeth grinding affects the person tremendously. People suffering from bruxism wake up with a severe headache, sore jaw or facial muscles, teeth sensitivity – and worst – damaged teeth. Many factors contribute to this type of problem, but no known treatment can entirely stop the grinding and clenching habit of a person. There is, however, a device that helps combat its adverse effects: Nightguards. A nightguard lessens the likelihood of the upper and lower teeth to come in contact, thereby preventing the risks of chipping, intense wearing, and damaged fillings. This wonder device improves the quality of sleep of the person by giving their jaw muscles a well-deserved rest. Nevertheless, these benefits are solely limited to custom-made nightguards. Teeth protectors that are purchased over the counter are less effective, unsafe, and can only harm than good. Remove bacteria, debris, and excess saliva in the oral device by rinsing it in cool water after waking up in the morning. Brush it after using a toothbrush alone. Remember, abrasive cleansers can compromise the appearance and texture of the teeth protector. Dry the nightguard first before storing to avoid bacterial growth. You can try soaking the device once or twice a week in a solution for extra cleaning. A denture cleaner or a mouthwash can work magic in washing off unwanted particles in the nightguard. For more information about Nightguards in Spokane, WA, be sure to contact The Holistic Dental Center today. Our entire team looks forward to meeting you in person and helping you achieve the best possible dental health results. We are located at 731 W. Indiana Avenue, Spokane WA 99205.